Manager of the London and UK operations for Atlas Settlement Group, providing support and advice to London insurers and Lloyd’s Syndicates wanting to utilize structured settlements in the United States and Canada. Brian has provided his expertise on over 1000 cases where structured settlements have been investigated to assist settlement negotiations. His role is to coordinate and communicate with all parties regarding settlement strategy and mediation preparations liaising with London Market and Lloyd’s Underwriters, attorneys, and third party administrators. Founding Principle and Managing Director of Structures International Limited which focused its activity on structured settlements in the United States. In addition to the traditional use of structured settlements in personal injury cases for most classes of insurance and reinsurance business, he also advised, and successfully utilized structures in business interruption and commutations/policy buy-back arrangements. 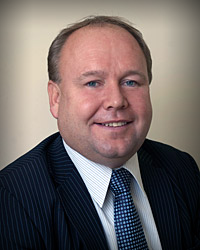 Main Board Director of Frenkel Topping Structured Settlements Limited responsible for establishing and managing Frenkel Topping’s London and South of England operations. His role was to develop and maintain contact with London Market and Lloyd’s insurers wanting to utilize structured settlements in both the UK and US settlement negotiations. He managed a team that worked closely with all insurers and their appointed solicitors and representatives. Brian was consulted by the Law Reform Community for the New South Wales Parliament to assist with the successful introduction of structured settlements in Australia. He has spoken at many conferences in the UK and US and regularly receives requests for presentations on structures to Lloyd’s Syndicates, London insurers and their advisers.